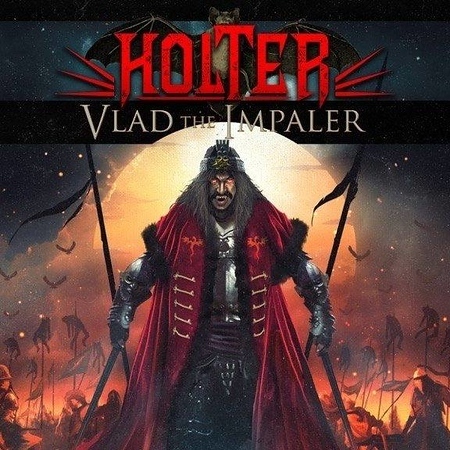 The new album, “Vlad The Impaler”, continues the story of Dracula from where “Swing of Death” left off; Vlad The Impaler or Vlad Dracula, of course being the 15th Century figure that inspired the Dracula legend. Jorn Lande isn’t involved this time, with Nils K Rue being the lead male vocalist and Eva Iselin Erichsen being the lead female vocalist. Joining those two and guitarist Trond Holter are bass player Bernt Jansen, drummer Per Morten Bergseth and keyboard player Erling Henanger. Trond Holter was the guitarist for Norwegain glam rock band Wig Wam between 2001 and 2013 when he was known as ‘Teeny’. During this period the band released a number of albums, participated in the Eurovision Song Contest finals and supported Kiss in Oslo. He started playing guitar in Jorn’s band in 2011, playing on the “Traveller” and “Heavy Rock Radio” albums. In 2015 they released “Swing of Death” which can trace its roots back to a project Holter started in 2009 aimed at delivering a rock n roll horror show.